Natural Phenacite Crystals bonded with Seraphinite from Russia. Translucent white to milky rare beryllium mineral natural Phenacite Crystals bonded with Seraphinite from Malighevo, Ural Russia. Phenacite is also known as Phenakite. Phenacite has one of the highest crystal vibrations yet discovered, it connects personal consciousness to a high frequency enabling information from that space to be translated to the Earth. Phenacite contacts the angelic realms and Ascended Masters. 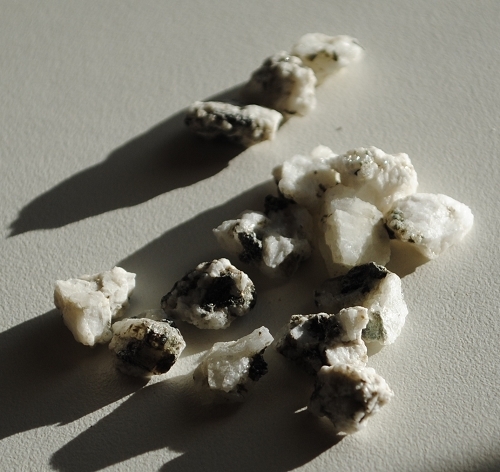 Phenacite is purifying and integrating, bringing the spiritual vibrations down to Earth. Phenacite heals the soul, purifies the subtle and physical bodies to provide a suitable vehicle for it, the energies of which is available to those who have shifted their personal vibrations to a higher level. 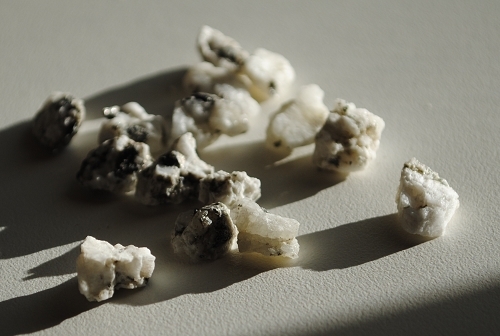 Phenacite has a strong connection with the chakras and imparts knowledge on how to heal and activate them all. 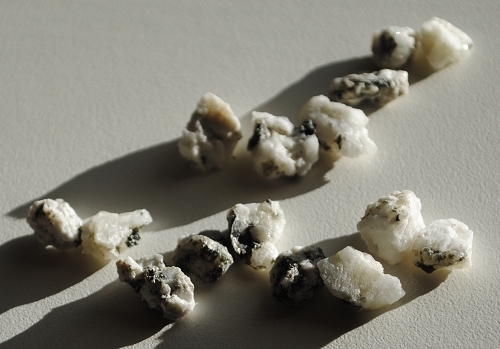 In healing, Phenacite works at a subtle level, purifying the body and clearing energy pathways. Phenacite downloads information from the Akashic Record via the blueprint so that dis-ease from any source can be identified and released. Phenacite activates healing from the etheric body to the physical and has the power to amplify the energy of other healing crystals. Phenacite is excellent to use for nerve damage, brain imbalances, brain damage and genetic disorders that limit brain functions.